The Beebe Medical Foundation hosted its Annual 1916 Club Members’ Dinner at Baywood Clubhouse in early October. More than 160 guests enjoyed an elegant evening in the upper Ballroom where Jeffrey M. Fried, FACHE, President and CEO, Beebe Healthcare, and Judy L. Aliquo, President and CEO, Beebe Medical Foundation, shared news of Beebe’s expansion plans for the Lewes, Rehoboth, and Millville areas. 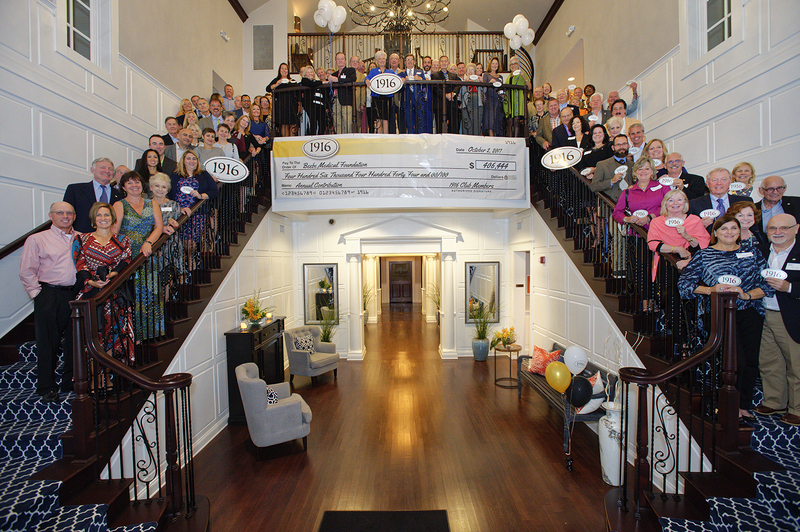 The 1916 Club is a leadership giving society that began during Beebe Healthcare’s 100th Anniversary celebrating its founding date of 1916. Members donate $1,916 or more annually to the Foundation to support Beebe. In 2017, 209 members generously contributed more than $406,000. To learn more about Beebe Medical Foundation’s 1916 Club or to join, go to www.beebemedicalfoundation.org/1916-club/. Photo Caption: Beebe Medical Foundation’s 1916 Club Members pose at this year’s Annual Dinner at the Baywood Clubhouse. Beebe Medical Foundation was established in 1989 with the sole mission to raise philanthropic support for Beebe Healthcare. The Foundation is located at 902 Savannah Road, Lewes, DE 19958. For more information, please contact the Beebe Medical Foundation at (302) 644-2900 or visit us online at www.beebehealthcare.org/foundation.